Hello all the pallet lovers out there. How are you doing pals? How is your pallet recycling life going on??? Well mine is going pretty smooth and good. I just keep working on different plans, it is just like an addiction. It is also a very great physical activity as well. So are you sick of conventional pallet furniture ideas? No need to worry. Here we are going to bring you some very interesting ideas that are going to give you new flavors of life. 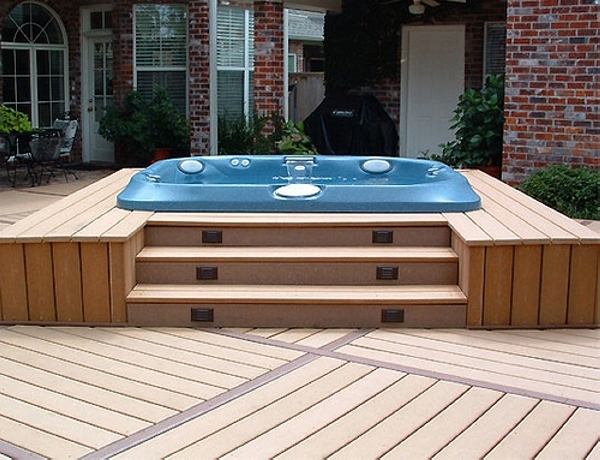 This pallet recycling has got modernized and the ideas are going to include pallet hot tub and pool decks. This is a whole big set up created with the wooden pallets. 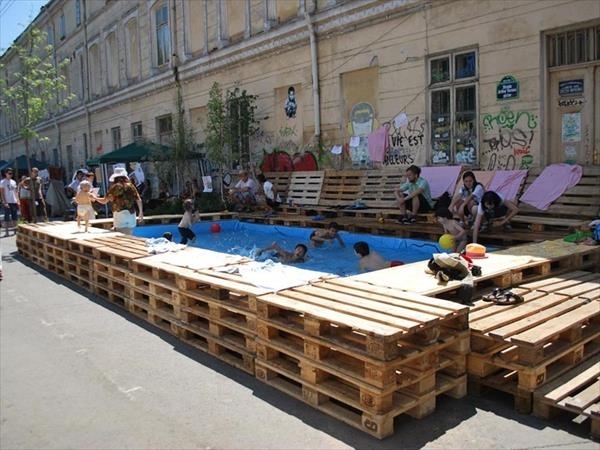 This seems like a recreational place set in the garden of some huge house, whole deck is upcycled using the raw wooden pallets. And right in the front there is a swimming pool. Here again we come across a whole wooden pallet deck and cabin. Look at this splendid structure, it is a real source of inspiration for all the pallet lovers essayviewer.com. When they become addicted they go really this far in making such pallet wood master pieces. Well this is a huge arrangement for swimming where a number of people are enjoying the swimming activity. We see a lot of pallet recycled things here like pallet wood chairs, and a boundary line drawn using the straight wooden pallets. This is such an encouraging scene for all the pallet lovers. Next we see an octagone shaped huge pallet wood structure. It is designed to fix in a metallic tub which would carry water. And then it is covered with blue parachute stuff to make the swimming pool more charming. 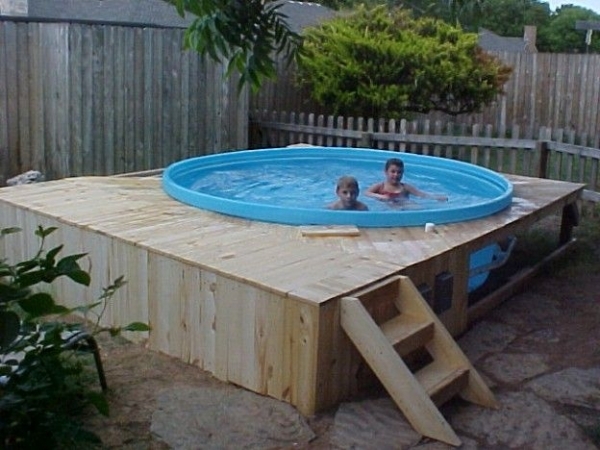 Whole family can enjoy swimming in this pallet wood recycled pool. 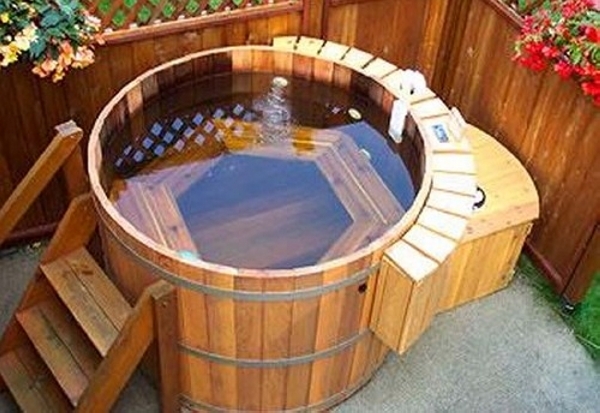 The next one is also a very creative pallet wood hot tub idea. 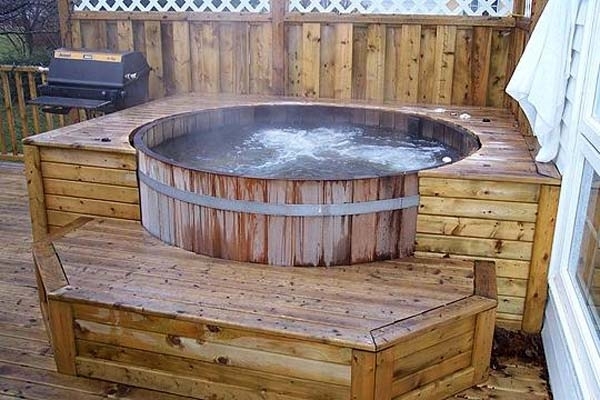 Here the actual tub is made using the pallet wood planks. And the spaces are very smartly filled in with glue and other adhesives. Plus the surrounding pallet wood space is meant to cover it up. 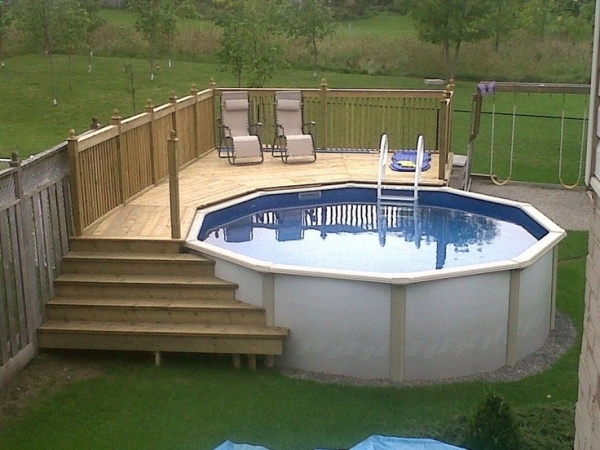 And the final one is probably the best pool so far for kids. It looks like a hundred dollar installation but again recycled with the wood of pallet. 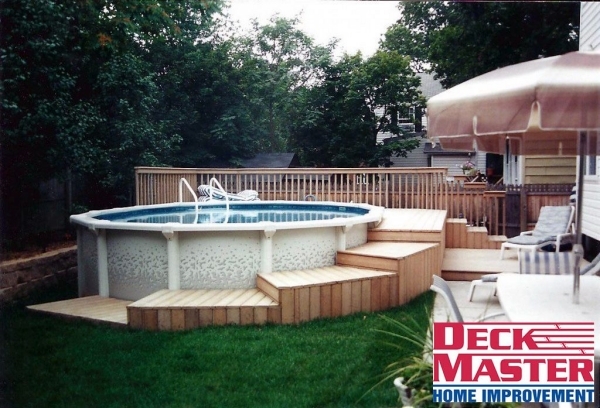 Certainly very fine pallets are used, they are smoothened up with sanding and then a plastic pool tub is installed inside. This one seems like a pallet dream land really. 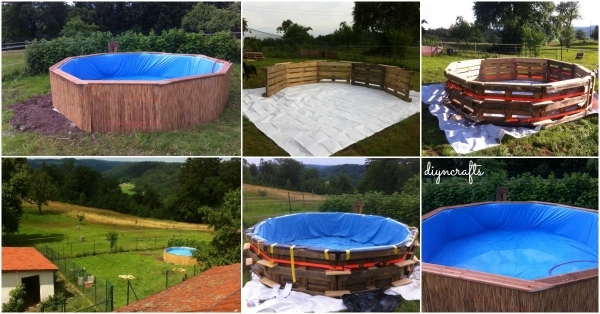 This water well come swimming pool is again recycled with our master crafter pallet wood. 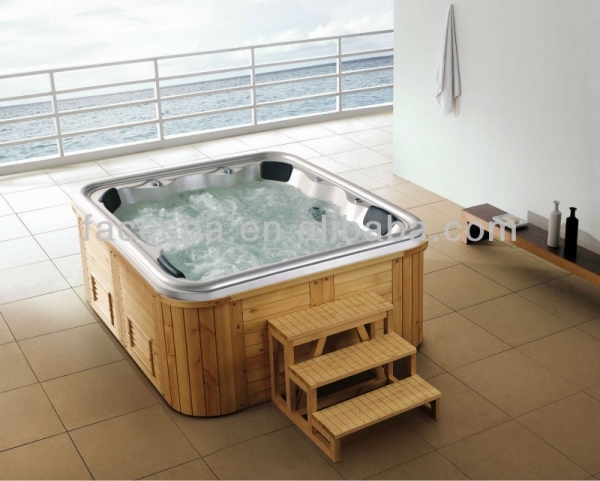 A cornered water world for all the water lovers and the ones who want to enjoy their privacy, this pallet swimming pool is a present for them. 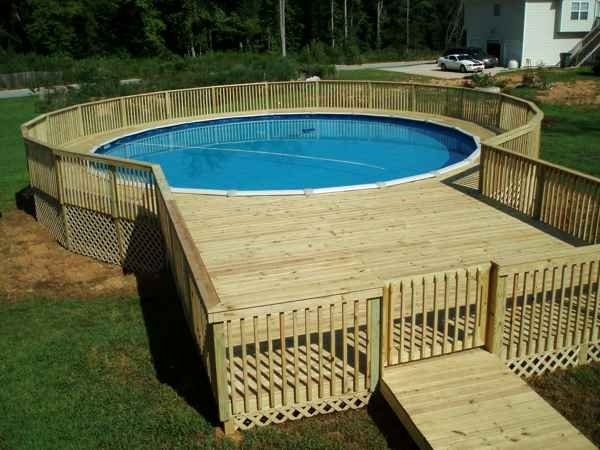 Now this is a full fledge swimming pool along with the pallet wooden deck. 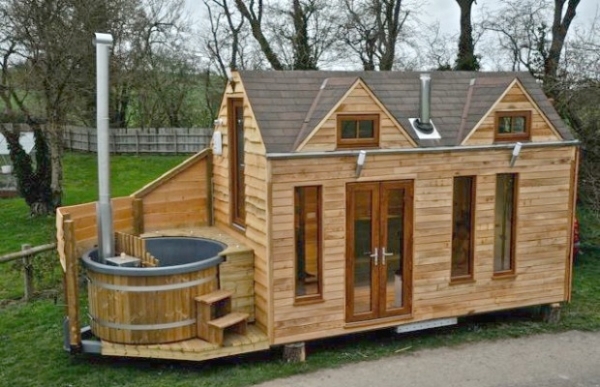 The water tub is again recycled using the raw pallets and the entire wooden deck in the surrounding is the brainchild of a pallet crafter. 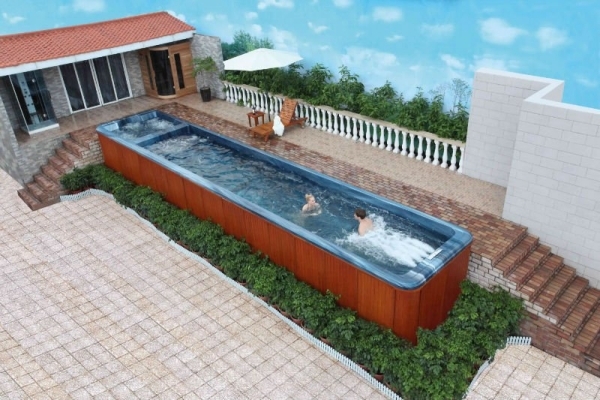 An ideal swimming set up so far in a garden. Just go on exploring the ideas. Just with the slighter modifications you would be getting entirely new set ups. 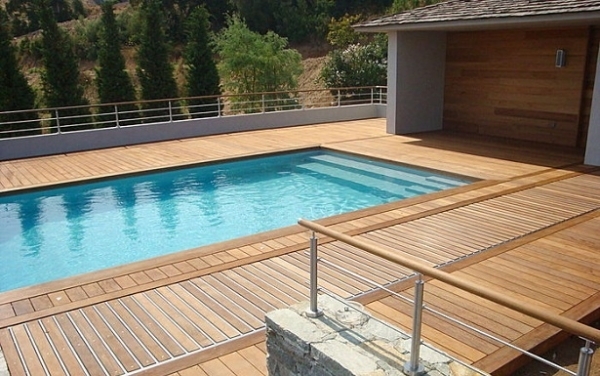 Like this swimming pool followed by a circular pallet wooden stair is a master piece in itself. But despite of all the fatigues this swimming set up is worth all these efforts. 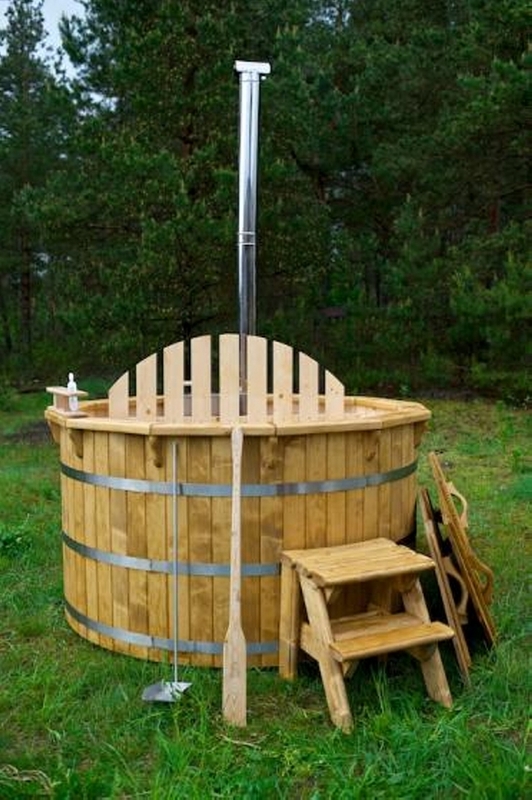 Wow, this one is pretty workable pallet wood tub and swimming pool for me as it is made using straight wooden pallet planks. No complicated engineering designs or maneuvering is done here. 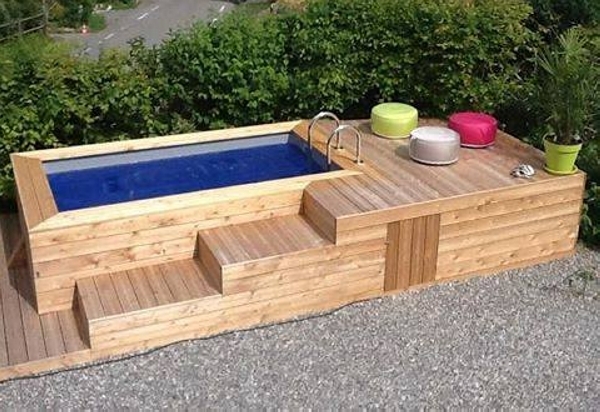 Entire set up except the pool tub is made using the pallet wood. 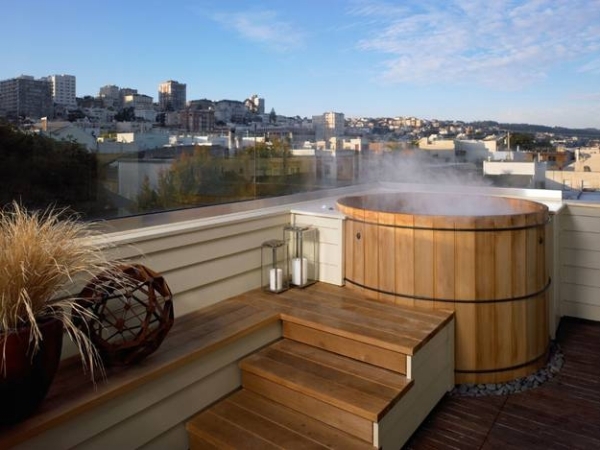 I am just going to go for this next weekend.